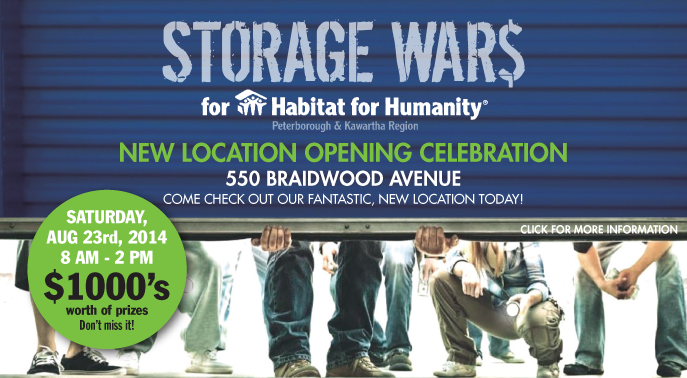 GPL Self Storage and Habitat PKR are celebrating the Grand Opening of the Habitat for Humanity Restore with an event you won’t want to miss! Three storage lockers will be filled with mystery items including exciting prizes donated by our Prize Sponsors hidden amongst gems from the ReStore. All ticket holders will have a chance to bid as these lockers are auctioned off.